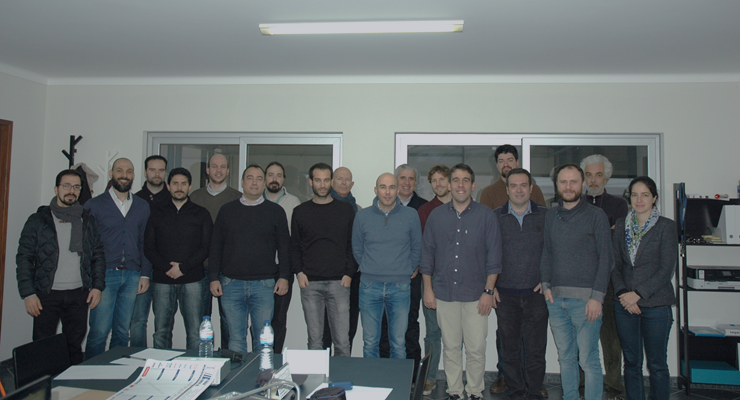 MELOA Design Review Milestone Meeting (DRM) took place on March 1st and 2nd 2018, at Composite Solutions facilities in Aveiro. The MELOA consortium reunited to discuss the WAVYs' physical characteristics, models and integration of the internal components. The technical specifications of the WAVYs' development requires coordination, and this meeting contributed to the open discuss and collaboration between all Consortium members. The prototyping and production schedule of the different types of WAVYs was also discussed and agreed. The first test campaign is scheduled for the Summer 2018.